The BBC report below, from earlier this year, dealt with some recent developments in the ongoing process of recognizing and making amends for a historic scandal. The story of the Magdalene Laundries helps to highlight some of the darker aspects of the record of the Irish Republic. For more than a half-century after Ireland (minus Ulster) gained its independence in 1922 (first as a Free State still quasi-affiliated with Britain, then as a full-fledged Republic), the Catholic Church had a privileged role and exercised massive influence on Irish society and politics. Among other things, the state and the Church collaborated in enforcing conservative social norms, including a fairly repressive and punitive treatment of female sexuality. 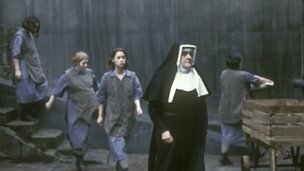 The incarceration, abuse, and economic exploitation of young women in the Church-run system of Magdalene Laundries were among the results. The increasing public recognition that this was, indeed, a shamefully abusive system is one sign of the way that Irish society has been breaking free from the most egregiously theocratic elements in its past. => A parting thought: In a western European context, perhaps, one might be tempted to take the less-theocratic direction of this evolution for granted. For various deeply rooted historical reasons, 20th-century Ireland was more priest-ridden than most other western European countries, but one could argue that it's now joining the more general anti-clerical and secularizing trends in western Europe. However, leaving it at that would be sociologically superficial (and, dare I say it?, excessively Eurocentric). It's worth reminding ourselves that during the past three or four decades, the trends in some other parts of the world have been moving strongly in the direction of more theocratic politics. In fact, Christian Caryl's recent book Strange Rebels: 1979 and the Birth of the 21st Century correctly identifies the increasing significance of politicized religion as one of the most important developments of world history during this period. (And if anyone hadn't noticed this phenomenon already, that would suggest that they have been living in a cave, without newspapers or TV or an internet connection, for the past 40 years.) In this respect, Ireland is getting more integrated into European exceptionalism. 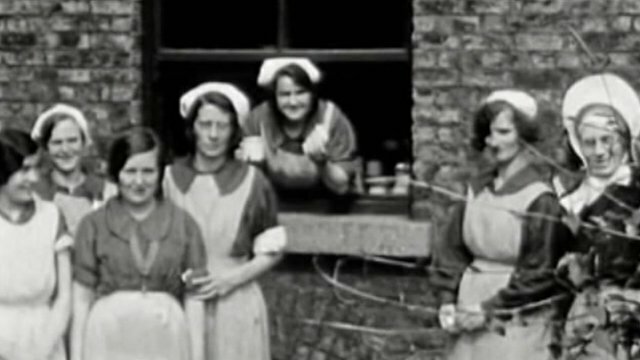 About 10,000 women passed through the laundries in the Irish Republic between 1922 and 1996, a report has has revealed.